LA PRIDE Music Festival & Parade officially launches their online pre-sale festival passes today. 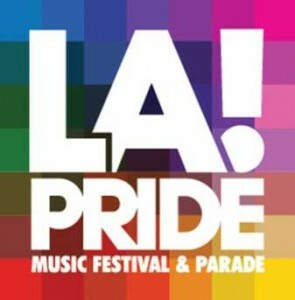 Taking place June 10th-12th, the most inclusive music festival and parade in the country will celebrate its 46th anniversary in West Hollywood, CA. Poised as a leader where pop culture and community intersect, LA Pride Music Festival & Parade is an unrivaled festival experience featuring a lineup of today’s hottest performers alongside emerging artists. From the killer lineups to the curated festival experiences, the LA PRIDE Music Festival & Parade brings together good friends and good times creating great memories. Presale passes for the three-day festival are now available online for the largest LGBTQ ticketed event in the country. Taking place in West Hollywood Park on San Vicente, the 2016 festival will feature an exclusive lineup, set to-be-announced on April 26th. Previous music festival performers have included Kesha, Jenifer Hudson, Fifth Harmony, Tinashe, Danity Kane, Ciara, Kelly Rowland and many more. Last year’s festival brought in over 50,000 festival attendees throughout the weekend, making it the largest ticketed music festival in Los Angeles. This year’s VIP experience will feature raised viewing platforms and prime Main Stage viewing spots, exclusive food options with accompanying seating, premium restroom facilities and more. Single day private cabana packages with bottle service and an unobstructed view of the Main Stage are now available for reservation. General Admission Three Day Pass: $50 before April 26th, $55 before June 3rd, $60 thereafter. VIP Three Day Pass: $100 before April 26th, $125 before June 3rd, $150 thereafter. This year’s, free-to-the-public, parade will also experience a list of “firsts” and will continue to celebrate the LGBTQ community, including it’s past, present and future struggles and triumphs. Taking place Sunday, June 12th, the colorful iconic parade will feature a collection of community, celebrity and corporate supporters who will come together to march down the streets of West Hollywood in front of hundreds-of-thousands of cheering supporters. This entry was posted in Uncategorized by Paty Elias. Bookmark the permalink.